Move over, snow. From national-expansion projects in Israel to film festivals in Boston, this month's Rundown heats things up with an insider's view into all of the upcoming awesomeness. Forget the Oscars – nominations for the 2015 Circle of Excellence Awards are due February 27! 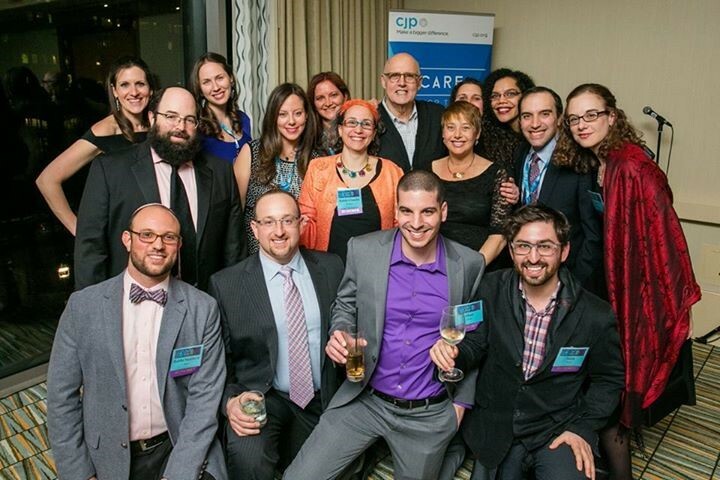 Get all the details and start nominating folks who've generously contributed their talents to CJP on behalf of the Jewish community locally, around the US, and across the globe. Andrew Becker, Chair of the Executive Committee on Young Adult Grants & Organization Support Working Group, spills about traveling menorahs, a near-miss with Natalie Portman, and one very eventful CJP hike. In 2011, CJP's Boston-Haifa Connection piloted Parents at the Center, a program to help at-risk families rise above their challenges in our Israeli sister city. Over the next year, the Israeli government will roll out a national expansion of the program to help more families across the country. The 4th Annual Boston ReelAbilities Film Fest kicks off February 19! From provocative and eye-opening to happy and heartwarming, this incredible array of films celebrates Jewish Disabilities Awareness month – and just some of the amazing people in our diverse, inclusive community. The one with the awesome vacation. Enjoy 10 – count 'em – 10 FREE days in Israel, packed full of awesome adventures and new friends. Don't miss out, Birthright registration is now open! Contact Karen for more info at karenn@cjp.org. Rock 'n roll on over to the Real Estate, Construction & Design Annual Dinner on February 23 for an evening of networking, dinner and drinks, and hear from keynote speaker Congressman Joseph P. Kennedy III. Want to check out Poland AND Israel this summer? Check out our info session February 24, and discover all you can do during our June 28-July 8 trip. LEADS registration is coming! Mix and mingle with Jewish young adults in your neighborhood for small group discussions in comfy home settings. Contact Emilie at EmilieG@cjp.org for more info. Did you know the Israeli elections are coming up? Get the inside political scoop – and spend some quality time with us and your friends – at our israel360 event on March 3. ...at the Annual Pomegranate Society & Friends Event on April 1! Women's Philanthropy's can't-miss event of the season will be held at the Westin Waltham Boston, and is open to all women who give $500 or more to CJP's 2015 Annual Campaign. 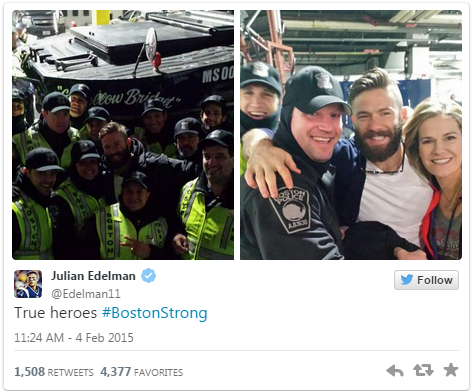 Pats' wide receiver and punt returner Julian Edelman may have just rocked the Super Bowl, but he's quick to point out who the real star players are. #Supertron activated, indeed. With a mouthwatering blend of recipes and wit, The Jew and the Carrot showcases Americans snacking while on Sabra, Jews arguing over whisky, and the glory of Griddler on the Roof. February 20 | 5:04 p.m.
February 27 | 5:13 p.m.
March 6 | 5:21 p.m.